Our Access has been designed specifically for women who want to be able to explore off-road for themselves. Like all of our female-specific bikes, it's a complete tailored package with the emphasis on comfort, responsive but stable handling, and safety. So we paid special attention to the geometry, saddle, stem length and handlebar widith - in order that every ride is a pleasure, rather than a chore. Mechanical disc brakes bring you to a halt safely, and a 24 speed Shimano transmission means you're just a few clicks away from tackling any trail. And, with our Size Split setup, there's an Access to suit every rider. It's got everything you need and nothing you don't: just get out and ride! You want comfort and safety above all, so we used our Compact Agile Ride Geometry to deliver a ride that's inspirational when you want it and stable when you need it. Lurking beneath the carefully applied colour scheme - applied using a multi-layer wet paint process, so it'll keep its looks - is all the attention to detail you'd expect.  Internal cable routing reduces clutter, keeps the gears shifting smoothly and greatly reduces the need for maintenance. And the complex section, cross-ovalised down tube - built using our Advanced Mechanical Forming process - is the stiff, strong and light backbone that the Access needs to respond to every pedal stroke or change of direction with instant, confidence-inspiring agility.